This watercolour is another tutorial from Terry Harrison. I didn’t do very well with the wet-in-wet especially on the barn but I enjoyed painting it. In fact I made quite a few mistakes but hey ho. 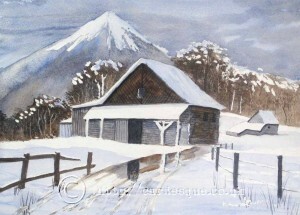 This entry was posted in art, watercolour, watercolour painting by Jackie. Bookmark the permalink.